at the end of the lease. Daily Duty Cycle is 40,000 scans! 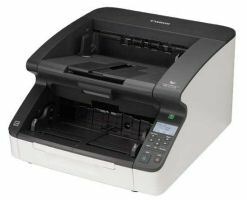 Versatility, high-speed and superior reliability make the Xerox® DocuMate 4799 a powerful scanner for demanding environments. 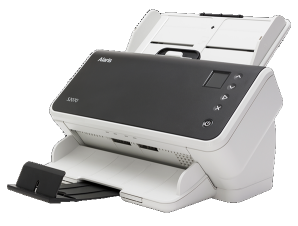 With up to a 40,000 page per day duty cycle, this innovative workhorse scans up to 112 pages per minute and employs three advanced sensor systems: ultrasonic double feed detection, stapled document detection and intelligent feed control to ensure that your scan job will not get interrupted. Documents of various sizes can be stacked together in the automatic feed tray without worry because the Xerox® DocuMate 4799 employs not one, but three ultrasonic double feed detection sensors to cover the entire width of a document. The scanner has another set of sensors designed to detect staples anywhere in a document. As soon as a staple is detected, the scanning process is halted — minimizing damage to the optical glass and your documents. A third set of sensors constantly monitors the thickness of documents being fed into the scanner and automatically adjusts the roller pressure to ensure that all pages are accurately fed. This combination of sensors creates one of the most reliable feed mechanisms available today. Up to 250 mix-sized documents can be stacked in the center of the automatic feeder. There is no need to organize documents according to their size, so scanning is fast, easy and efficient. A pre- and post-scan imprinter is also available for the Xerox® DocuMate 4799 and is supported through the included TWAIN™ and ISIS® drivers. The Xerox DocuMate 4799 provides both high quality image enhancement and increased productivity with Kofax® VRS™ Professional AIPE-EBC for auto-everything scanning, including Auto Rotation, Blank Page Deletion and Auto Color Detect. VRS Professional improves your workflow and reduces the total time needed to scan even the largest volumes of mixed batch documents. Taken together, the Xerox DocuMate 4799 and the Kofax VRS Professional bundle translate into real and measurable savings — fewer manual steps, reduced storage requirements and less operator intervention. 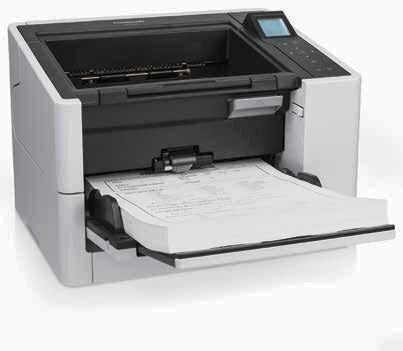 When the occasional paper jam happens, the Xerox DocuMate 4799 is very easy to maintain. Its unique “clamshell” design allows full access to the entire paper path, so you can clear paper jams or clean the unit without calling a service technician. The rollers are easy to replace, improving the unit’s cost effectiveness, and have a long service life. Visioneer® OneTouch® with Kofax VirtualReScan technology is an integrated software solution that combines the ease of Visioneer OneTouch scanning with the superior image quality achieved with Kofax VRS. The DocuMate 4799 is available with either Kofax VRS Pro AIPE/EBC, or Kofax VRS Basic. While VRS provides world-class thresholding, cropping, and deskew, AIPE (or the Adrenaline Image Processing Engine) is a Kofax software product that adds a range of functions to your ImageControls scan application. AIPE software includes the Enhanced Bar Code engine and Patch Code detection, which support any image type (bitonal, grayscale or color). For bitonal image processing, AIPE provides Forms Recognition, On-the-Fly Rotation, Line Removal, and a range of Image Enhancement Filters. (AIPE is also a solution for stored images of any format: color, grayscale or bitonal).